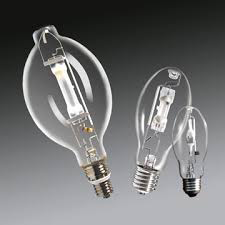 Light in metal halide lamps is generated by an electric arc through a gaseous combination of mercury vapours and mixtures of metal components metal halides. These additional metal halides in discharge tube emit their own spectra. This leads to the extensive verity of light colures hence improved colour rendering of light and efficiency. The luminous efficiency of metal halide lamps ranges between 75 to 100 lumen per watts. 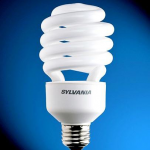 This efficiency is double to that of mercury vapour lamps and 3 to 5 times to that of incandescent lamps. Production of intense white light. Life range between 6000 hours to 15000 hours. One of the most efficient sources of high white light. Available with various colour temperature. Metal halide lamps are used where higher illumination levels are required. For verity of applications, it proves suitable such as printing shops, inspection areas, parking, and retail stores. Moreover also used for electric torches, headlamps for automotive.